Aiming to show toughness against defenseless Gazans ahead of April 9 elections, Netanyahu ordered the Strip terror-bombed on Monday - affirming his ruthlessness once again, after countless previous times. Israel's Iron Dome missile defense system intercepted some rockets, others landing in open areas harmlessly. 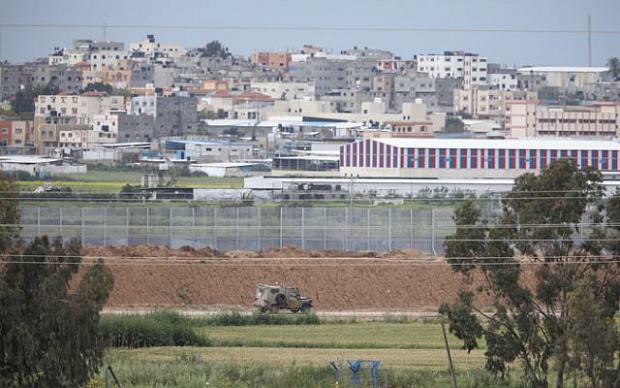 Reportedly, Gazan resistance groups announced they'll observe a ceasefire if Israeli terror-bombing ceases. Israeli media reported that (unacceptable) Netanyahu regime ceasefire terms include ending weekly Great March of Return demonstrations near Gaza's border with Israel - Palestinian surrender if agreed on. Early Tuesday morning, Netanyahu regime public security minister Gilad Erdan said "rumors and hear-say of a cease-fire are incorrect." Earlier, Hamas spokesman Fawzi Barhoum said "Egyptian efforts succeeded with a ceasefire between the occupation and the resistance factions." "(T)he Israeli occupation should bear the consequences of its actions against our people in Gaza and the West Bank and in Jerusalem, as well." "Hamas will not leave our people undeterred…The resistance will strike back if needed. The current Israeli bombardment of the Gaza Strip reflects its criminal nature. The Palestinian resistance will not allow the occupation to oppress its people." "We must face this onslaught with a united national front, and in coordination with our Arab allies…Our people and the resistance will not surrender if the occupation crosses red lines." He consistently fails to observe UN Charter principles he's sworn to uphold – notably preserving and protecting human rights, supporting world peace and stability, denouncing wars of aggression, and respecting fundamental international laws. Saying he's "gravely concerned" about developments in Gaza (sic), he urged all sides to exercise maximum restraint (sic), shaming himself like countless times before - ignoring the UN Charter right of self-defense by Palestinians against Israeli aggression. When developments like what's going on in Gaza occur, Israel bears full responsibility - launching attacks on the Strip like over the weekend, what caused a Gazan response, a rocket striking an Israeli house, lightly to moderately injuring its inhabitants. Whenever Palestinians respond in self-defense to Israeli attacks, they're falsely accused of crimes committed against them. Friedman favors hardened Israeli apartheid rule. After Trump announced his intention to (illegally) recognize Syria's Golan as Israeli territory, Israeli hardliners saw an opening to call for West Bank annexation, a scheme Friedman supports. Longstanding Israeli plans call for annexing all valued Judea and Samaria land. It's been on going steadily for decades. Israel controls over two-thirds of the West Bank and Jerusalem - de facto controlling it all. Its aim is total Judaization of historic Palestine, eliminating it entirely, confining Palestinians to isolated cantons on worthless scrubland.